When Laura owned it, it had been Hotheadz (I had forgotten that) and she was unfortunately diagnosed with a tumour (she did me permission to say that) towards the end of 2012. The girlfriend of the new owner (who didn't want to be named) had been a regular client and he had offered to take over the lease of the shop and buy the fixtures and fittings and Laura and some of the other girls would each rent a space (their own chair etc.) from him and Laura continued to look after her clients there without the overheads and worry of running an entire business while also undergoing treatment for her health. Over the year that followed the new owner spent a lot of money changing the name and doing the shop up, however there was, shall we say, a quick turnaround of staff and in September Laura was asked to leave. I remember seeing police in there around that time - I had actually popped my head in at the time to see if there was a blog post writing itself, however I was told rather gruffly by the owner that it was purely a domestic issue and that I should mind my own business. Fair enough I thought at the time, a private mater is none of my business and I wasn't going to pursue it. However it turns out that apparently he had called the police to remove Laura even though he didn't have any contractual power to ask her to leave. She agreed to go by the end of the week anyway, just not needing the hassle and the police were not needed in the end. 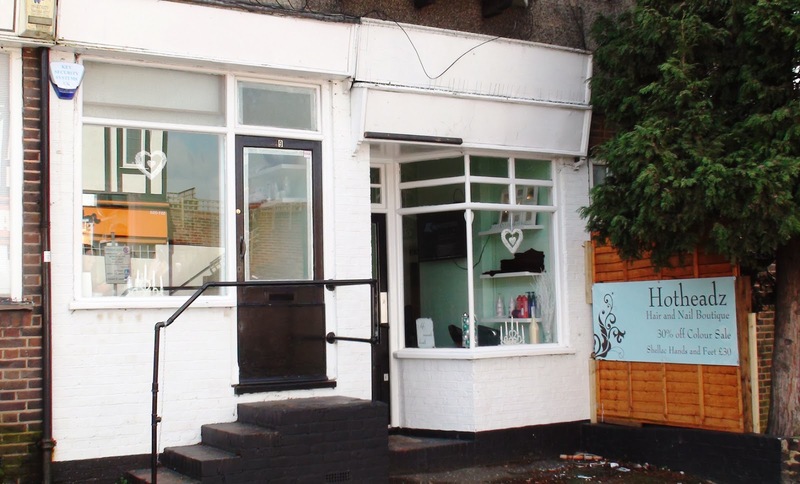 The upshot of this is that she has opened up Hotheadz (Hair & Nail Boutique) again; this time in North Cheam in the old tattoo shop on London Road. Actually technically it's in Lavender Avenue, just one shop in from London Road but it's there in North Cheam all the same. She hasn't quite got all the signwriting and things done yet but she if open for business there.